Yours is the 1359593 th visit. Five lectures were arranged in three Australian cities, and each one attracted crowds of Truth seekers. Meanwhile, English, Au Lacese, and Chinese newspapers prominently featured these events and introduced Master's teachings. The people's thirst for Truth impressed the working team members and encouraged everyone to make a greater effort. Brother Chuang Hongda in narrating one of his experiences said, "In Sydney, we met a couple from Mainland China. In Shanghai, the wife had read an autographed book by Master and had been fond of Her teachings ever since. She was unable to extend her visa and worried that she would not be able to meet Master. On the day of Master's arrival, our work group was assigned to distribute sample booklets. We met this woman on a train and she took us to many places so that we could distribute the sample books. Afterwards, we brought her back with us to meet Master. As soon as she saw Master, she began to cry. 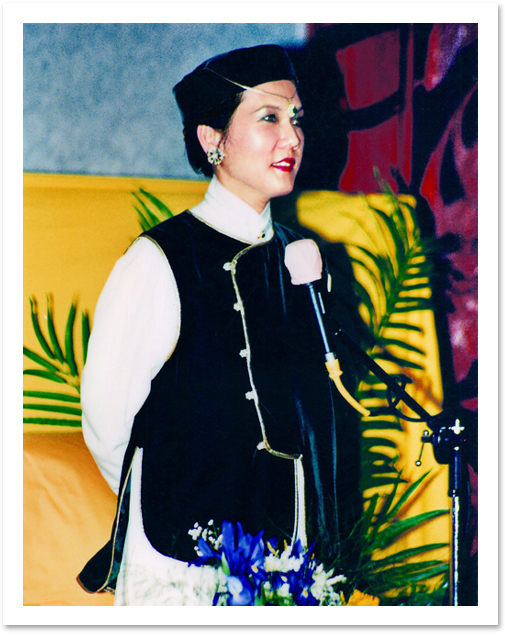 Her excitement and longing to achieve spiritual satisfaction again made us realize the momentous occasion in which we were involved on this World Lecture Tour. No wonder Master made light of all the hardships and obstacles She encountered while traveling around the world. She heard the crying of the lost lambs and was trying to find each one that was marked for Her."